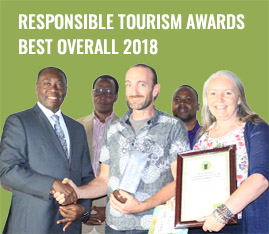 Nature Discovery is a Tanzania based travel outfitter, and a partner for over 20 specialist trekking and safari travel agents around the world. Website Visitors– individuals who visit Nature Discovery Website and opt to provide contact information including an email address to receive communications from Nature Discovery. In addition, we also collect information such as web server logs, internet protocol (IP) addresses, browser type, or other information as part of aggregated data. 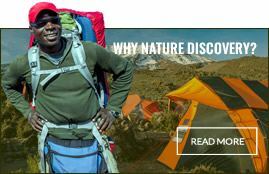 To contact you regarding any agreements or accepted terms that you may have with Nature Discovery for the Services. To optionally provide you with marketing emails, special offers, advertising campaigns, or newsletters. To provide you with information logs associated with the use of Nature Discovery’ Services. To carry out other purposes as disclosed to you through the Website, or found in terms or an agreement between you and Nature Discovery. As Required by Law or Similar Investigations– To comply with legal obligations (e.g. subpoena) or investigate potential legal violations. Nature Discovery may be required to share personal data in response to lawful requests from public authorities including to meet national security and/or law enforcement requirements. Safety– We may disclose your information to protect and defend the safety of Nature Discovery in connection with investigating and preventing fraud or security issues. Consent– Nature Discovery may share your information with your consent. You may unsubscribe from receiving promotional or marketing emails from Nature Discovery at any time by using the “unsubscribe” link in the email received, or by emailing us at info@NatureDiscovery.com. As outlined in the Section, Information We Collect, you can also control your cookie settings. When Nature Discovery no longer has a legitimate business need to process your personal information, or no longer has a need to keep your personal information for any legal, tax, or regulatory reason, we will either delete or anonymize it. Nature Discovery takes all reasonable steps to protect information received from you from loss, misuse or unauthorized access, disclosure, alteration, and/or destruction. We maintain technical, physical, and administrative safeguards to secure your information, and we use industry standard Secure Socket Layer (SSL) encryption for your data that is transferred over the internet. Despite its use of encryption, Nature Discovery cannot guarantee any method of transmission of information over the internet is 100% secure. If you have any questions about the security of your personal information, please contact us at info@NatureDiscovery.com. For individuals in the EEA, Nature Discovery’ legal basis for collecting and using your personal information will depend on the personal information collected and the specific context in which we collect it. Nature Discovery will process personal information from you where, a) we have your consent to do so, b) where processing is necessary for Nature Discovery to perform Services pursuant to an agreement, or c) where processing is in our legitimate interests and not overridden by your data protection interests or fundamental rights and freedoms. In some cases, we may also have a legal obligation to collect personal information, or may otherwise need the personal information to protect your vital interests or those of another person. At any time, you have the right to withdraw or decline consent. If you do not provide the requested information, Nature Discovery will not be able to perform Services for you. Also, you have the right to object where we rely on our legitimate interests to process your personal information. Nature Discovery may transfer your personal information to countries other than the country in which you live. Whenever Nature Discovery transfers personal information originating from the EEA or Switzerland to other countries not deemed adequate under applicable data protection law, it will do so on the basis of the EU Standard Contractual Clauses. Individuals located in the EEA may have additional statutory rights available to them with respect to their personal information, including the right to access your personal information, have it erased, have it corrected, or object to or restrict processing. If you would like to make such a request, please email info@NatureDiscovery.com and we will respond within thirty (30) days. Nature Discovery will need to verify that the individual is inquiring about his/her own information before we can assist with the request. Our Website and/or Services is not directed at children and our services are designed for consumers and businesses. We do not knowingly collect information from or about children under 13 years of age. Nature Discovery was very efficient at organising my trek, I dealt directly with them rather than a travel agent. Whilst on the trek, the team of guides and porters were professional, knowledgeable and enjoyable to spend time with. An amazing experience all round. Thank you. Wow, what a great experience! The final walk up the summit ridge was a just an amazing feeling and luckily, weather conditions on the top cleared up after starting from School Hut in lightly falling snow. Everything ran like a well-oiled machine. We just couldn’t fault it! We really liked the team approach across porters and guiding staff. I know that these things don’t just happen and you should be proud of your staff and their efforts. Would I recommend a Nature Discovery Kili trek to friends and family – absolutely! That to me is always the test after completing something like this. Your advice as to the Shira Plateau route was spot on. Excellent to get the necessary acclimatization time in and nobody suffered from altitude sickness. Having experience that at Everest Base Camp, I was very pleased (and relieved) to come through unscathed this time. Food was exceptional, both as to variety, quality and quantity. Our chef, Felisiana August was superb and turned out meals of a consistently high standard. Both the menu design was excellent and we were continually surprised as our waiter Good Luck announced each evening what we were having. Guide team: Onest Mtui is the sort of person you just trust and respect. Quietly spoken, very knowledgeable, and as we headed up the mountain on summit day with the ground covered in snow, you just knew that he was right on top of his game. Excellent man and we all really enjoyed his company. Assistant guide William Bwenje is someone that you need to keep in mind when you are looking to promote new head guides. Both Michael and I were impressed with his depth and maturity. He anticipated problems, worked with people who needed assistance, demonstrated really good leadership qualities and has a very good grasp of English. The overall caliber of your people on our trek was just superb. So in summary, I must compliment you and all the team on a job well done.